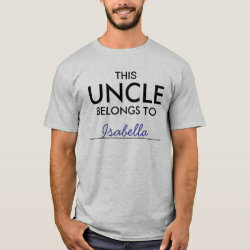 This cute customizable t-shirt design is a perfect way to let everyone know who this uncle belongs to. 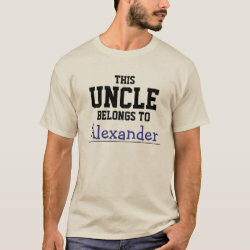 Customize the shirt by adding your name or More... your niece or nephew's name on the line. Show some serious family love! 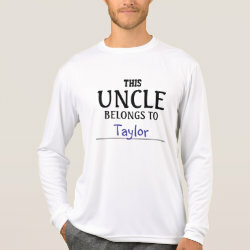 This would make a great gift for Christmas or a birthday - and a fun surprise, too!